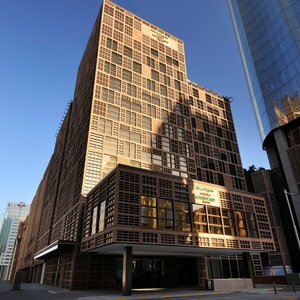 Choose a pace that suits you at the new Courtyard by Marriott World Trade Center, Abu Dhabi. With spacious accommodations, friendly service, and a superb location in the city's business district, our hotel offers everything you need for a relaxing stay. Make yourself at home in your modern room or suite, and take advantage of perks like a marble bathroom and Marriott's famously comfortable bedding. All of our hotel rooms also offer free high-speed wireless Internet and scenic views of Abu Dhabi. Additional amenities at the hotel include a state-of-the-art fitness center and a heated outdoor pool, as well as several on-site dining options. Those planning a business meeting here in Abu Dhabi will appreciate our three versatile meeting rooms and modern audiovisual and video conferencing facilities. And thanks to our central Abu Dhabi hotel location, you'll enjoy easy access to the World Trade Center, the Souk, and more. We look forward to welcoming you here at the new Courtyard World Trade Center, Abu Dhabi!